Not a single one of us is insignificant or powerless or unworthy. When we were young and immature, my sisters and I could be SO catty, petty and jealous. One of the benefits of time and experience and (some!) maturity, is that we were able to see that this behavior actually came from a feeling of love, admiration and respect. Recognizing and acting on those positive feelings, instead, led us as young adults to become each other’s best cheerleaders. Instead of rolling my eyes and making comments, like when kid Vanessa emerged from her room all gloriously put together… I told grown Vanessa she looked fabulous, in that dress with those shoes, and she eagerly helped me find my own fashion. As a kid I selfishly hoarded the one guitar our family owned because gosh-darn-it-Christina-can-do-everything-better-than-me-and-I-just-want-ONE-thing-that’s-mine-and-not-hers… and now I’ll drive hours or even take a flight to cheer Christina on in playing her amazing music, and she passes on her musical talent in introducing my kids to all kinds of cool instruments for birthday presents and aunt play time. V & C both rolled their eyes at my growing up bossiness and spreadsheets tracking the dumbest kid stuff, but later they championed my management skills in the running of our business, as we all had fun (really!) making spreadsheets and solving problems together. The truth of things is: Vanessa was my biggest, baddest, most loyal, most convincing and 100% accepting supporter. She believed in me. She truly thought I was not just good, not even great, but AMAZING: She told me how wonderful I was as a mother and that I was a talented developer and designer (although she blew me out of the water in the design field! ); she thought I was super smart, totally able to make friends with anyone, and just hilarious too; she’d listen to me explain any barrier I saw in my way, whether it was physical or mental or emotional, and then reply without any hesitation or insincerity that she just didn’t think that was something *I* couldn’t get past, wonderful as I just naturally was. In a nutshell, she thought I was completely awesome, flaws and imperfections and all – and she told me so, all the time, over and over, until the very end of her life. I have replayed her last week over and over in my head, and I think some of her last coherent words to me really were “You’re awesome! Really! Awesome!” She believed in me, even when I didn’t, until I was believing in me too. She saw value in me even when I didn’t, even where I didn’t. I couldn’t help but believe in me, because she did. I have found, in these now days that bustle with life but still feel silent, somehow… that I don’t know yet who I am without Vanessa reflecting back to me her view of me. 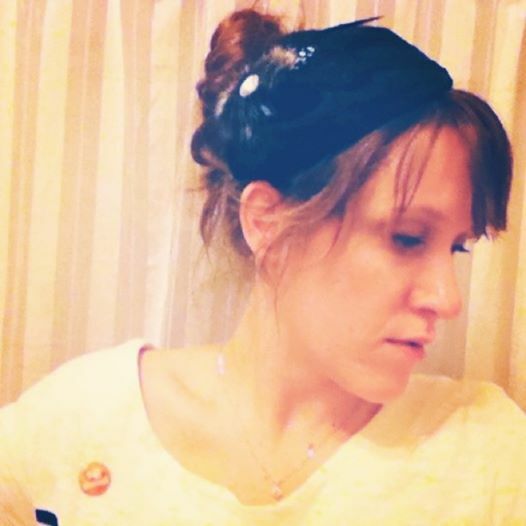 The feeling of loss I feel is so hugely the loss of Vanessa, herself, as her own person existing in the world – but also it’s a loss of myself, as “someone who has Vanessa in my life”. I am so amazingly lucky I had her steadfast support and unconditional love for 32 years, and I hope beyond hope that she felt my unconditional love and support back, just as fiercely. I now am left struggling to figure out how to see, and be, me-without-her. Sometimes I stare in the mirror and don’t really even see, recognize or remember the person staring back at me. Vanessa would always remind me, tell me, convince me, of ME. It was never her making me into something I’m not, or pumping me up beyond my truth. It was more like me facing the mirror, that my mind fogs up with its doubt, insecurity, fear, and worry, and then having Vanessa come in with her (very fashionable) towel and lovingly wipe the glass… and then when I would see myself there, through her, it was like seeing an old friend I haven’t seen in a while, with that pang of recognition, those flooding memories, that “oh, yeah, YOU!” She was so good at helping me find myself again, over and over again whenever I lost it or doubted it, and believe anew in the familiar person I re-found. Without Vanessa, I don’t always recognize ME. 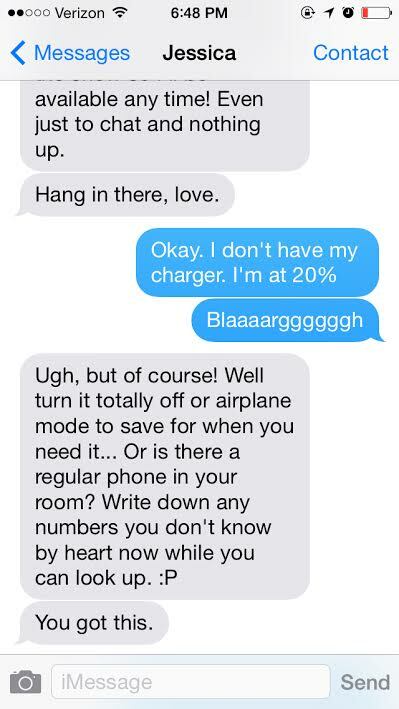 Christina grabbed this screen shot off her phone… “You got this” – one of many! Christina and I are pulling double time on the supportive sister job, now. 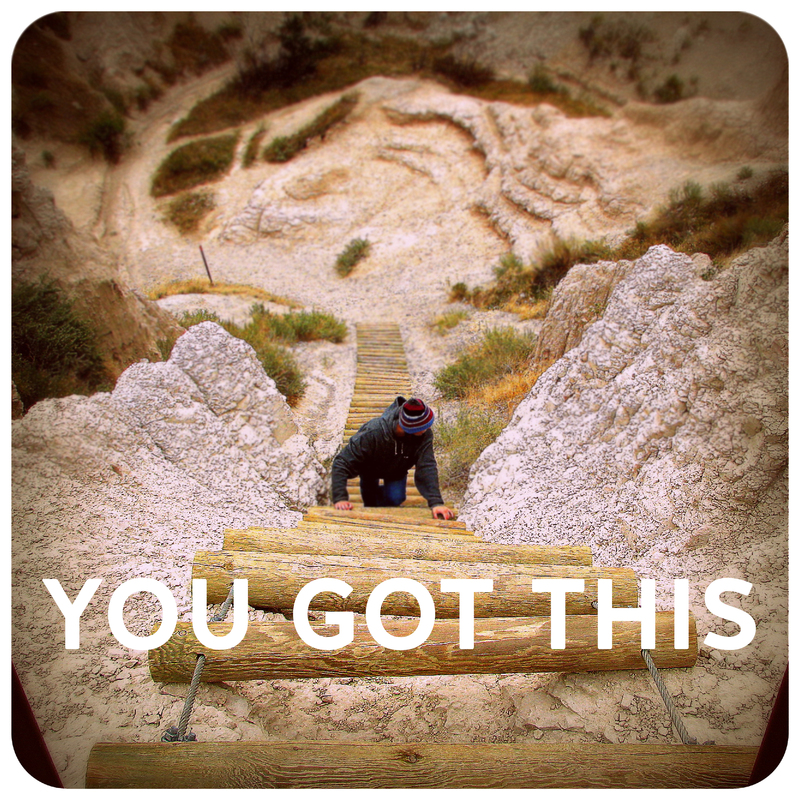 We’ve started saying (the slangtastic) “You got this!” to each other, all the time, silently recognizing the now-pressing need we have to feel OK, and capable, sans-Vanessa. Christina has to head to the ER all by herself for a life-threatening issue, feeling scared and alone and tired of life handing her lemons? You got this! Jessica has to tackle some hugely over-due home improvement projects that feel like way too many decisions when deciding even one things seems impossible right now? You got this! Either of us have to do anything at all, however mundane, be it dishes, dentist appointment, phone calls, pay bills? There, too, we are for each other, in Grief Land, cheering the other on with the knowledge that hopefully things of this size won’t always feel so hard but right now they do and so… YOU GOT THIS! But there is just no way that an extra helping of the same sisterly support between us will ever replace the unique support of our Vanessa to us each. She was our biggest fans, our always-willing helper, our giving, caring, kind, truth-telling, laughing, impatient, amazing Vanessa. And she’s gone. And Christina-with-Vanessa and Jessica-with-Vanessa are gone, too. I will miss Vanessa every day for as long as I live, of this I have no doubt. I will feel her loss forever. But what a gift Vanessa gave me to carry with me for that forever – that she believed in me so hard, that she loved me so earnestly, that she told me so often…. that I still believe her, even in her absence. When I look in that foggy mirror now, feeling lonely and scared, I still imagine Vanessa in my ear, gently and lovingly but also impatiently and firmly saying “Come on, just wipe it away, you got this, too”… and I still believe her, because of how sincerely she has always believed in me. I hope we all have moments when we fully believe in ourselves, no external validation needed. However, even the most confident of us sometimes doubt ourselves, whether it’s doubt of our worth, our ability or our purpose. Don’t miss the chance to be someone’s “You got this” person. Any time you can, believe in your kids. Believe in your parents. Believe in your spouse, your friends, your siblings, your family, your coworkers, your students, your neighbors. TELL THEM and SHOW THEM, sincerely and freely and often, that you believe in them. If you do this enough, and do it well, you become a small part of anything good they do with your belief at their back – which can shore you up for when YOU are feeling less then whole, yourself. There are many ways to change the world; some are through encouraging others from wherever you sit. And if you do this REALLY well, I mean like Vanessa-well… then your support, encouragement, love and belief in them can even survive past you, beyond you or without you, sticking with them forever, as part of that internal support well they draw from whenever it’s needed, forever more. YOU GOT THIS. Pass it on. This is beautiful and encouraging. Thank you for sharing such a personal story so that your loved one may continue to inspire others through your words. I found your site after reading your piece on Manifest-Station, which was wonderful, by the way. This is exactly how I feel. I’ve lost all of my immediate family, friends and many others in the last nine years and am more or less alone now, so I know that feeling of not having that reflection of yourself in their eyes and it is scary. I don’t know who I am sometimes…you wrote so accurately and beautifully about it. I am so sorry for the loss of your sister. Now I’m off to read more of your articles!